While it is clearly stated that Michael and Laurie have no sibling bond in this Haddonfield, there is still a Lovecraft like ideal of a cursed bloodline. Through the course of its 105 minute running time, it is both painful and obvious that Laurie’s life has been destroyed by the trauma of that horrific All Hallow’s Eve, resulting in divorce, paranoia and estrangement from her beloved daughter Karen, played by Judy Greer who is still suffering herself. The family dynamics are sometimes so absurd, it is laugh out loud funny and at others, woefully tragic. Laurie has become a survivalist with a singular focus, a paradigm of the inevitable escape of Michael Myers turning her home into a training camp and artillery range that would make Sarah Connor gush with trigger happy glee. This mindset and the damage it’s done spills into the lives of Laurie, Karen and her own daughter, Allyson (played by newcomer Andi Matichak) who has the fresh faced but intelligent & independent nature of her grandmother but unfortunately not her pipes so Scream Queen status may yet be out of reach but it’s obvious her talent is immense and her half decade career to date is just the beginning. Original actors Nick Castle and Tony Moran, once again don the mask and Carhartt’s (attained in classic fashion, no pun intended) though the latter has a fair amount of “naked” time where glimpses of his face appear in out of focus shots as though his true visage can never be fully viewed; slivers of gray and the strain of age have dulled neither his blade or determination, now assumed by newcomes James Jude Courtney. “The Shape” has truly returned for revenge; often imitated but never duplicated, Courtney has the strong, silent type down pat. Michael’s mask looks as though it has been aged four decades, a deeper, darker grey, withered and malformed, barely human, if at all. He stalks the night and broad daylight with equal menace, those none more black eyes unseen beneath the latex, clothes marooned brown with red blood and the effluvial grime that comes with the business of killing. The original “Halloween” has many hallmarks that made it so innovative and powerful but it could be easily argued that the score ranks at the top. Popular and well-worn lore is that early screenings for the studio inspired very few scares and plenty of yawn sans John Carpenter’s genre defining soundtrack. Once added, the bigwigs quickly changed their tune. While the impact could never be matched, the new take on classic cuts from the maestro, his son Cody and composer Daniel Davis are razor sharp and integral as ever. Familiar frightful chords and signature spooky rhythms abound give Michael his imposing due but also allow viewers/listeners an experience unique to this entry. Homages to the original and it’s unrelated second sequel dot the cinematic landscape (and probably more than a few missed that will require additional viewings) both blatant and intricate but all fun. 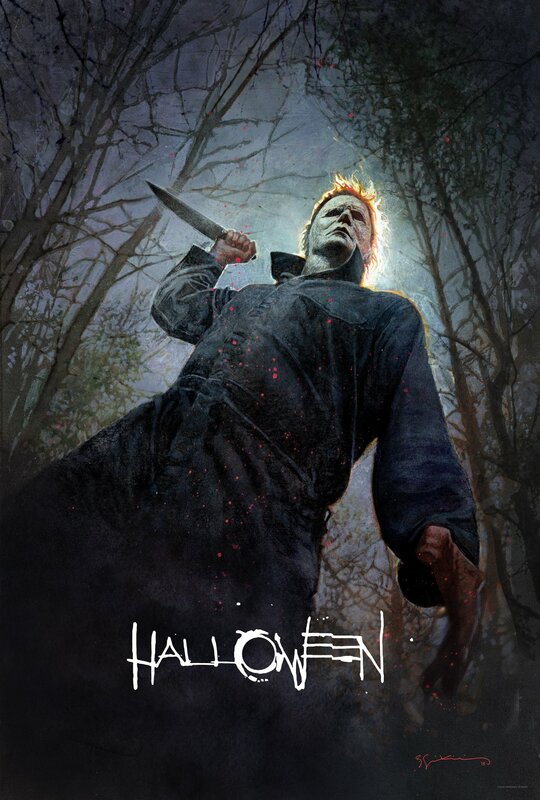 Original cast members return, Silver Shamrock masks dot the night landscape and numerous nods will have fans straining to find them all, employing the pause button searching for secrets like the VHS days of yore that made “The Boogeyman” the legend he is today and allowing the franchise to come full circle in the spirit of the season. 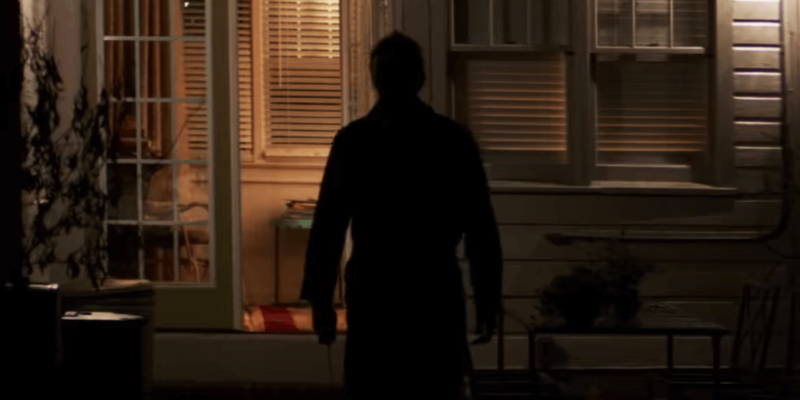 In the heyday of the slasher films, they were often derided as “dead teenager movies” (so famously coined by Roger Ebert) but “Halloween” again establishes that Michael Myers is purely and simply evil, remorseless, relentless, rage defined. His initial on-screen kill is ample proof: shocking, memorable and most of all a clear warning to on screen citizens and audience alike: death has come to your little town. For those anticipating the largely bloodless nature of the original are in for a surprise here but gorehounds are sure to revel in the unbridled brutality with incredibly inventive kills, set pieces stained with crimson and guts galore. There were plenty of gasps in the crowd (as well as a fair amount of cheers) and there will undoubtedly be many gleefully, gory GIFs dominating social media shortly & for some time to come. Cowriter Danny McBride whose resume includes such credits as “The Foot Fist Way” and “Your Highness” doesn’t inspire high hopes for his venture into horror but the flourishes here are funny and genuine; nothing ever felt forced or unnatural. 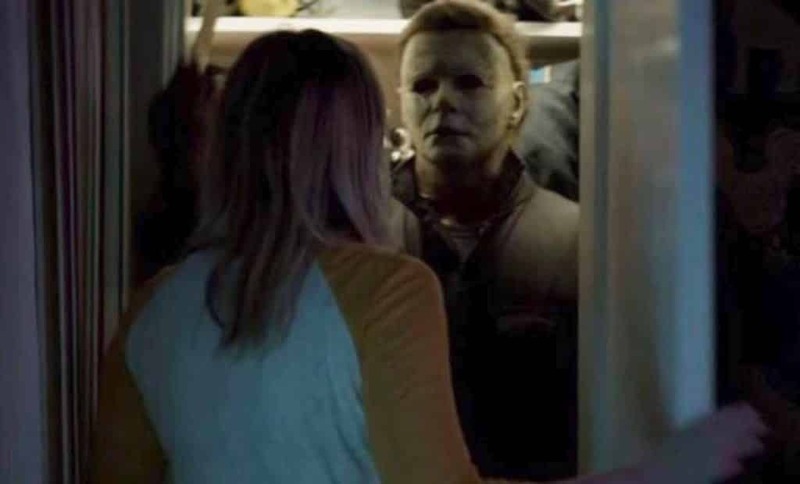 “Halloween” is not a horror comedy or an example of where the vicious violence is meant to be offset by contrasting laughs – instead it permeates as an essential character, making the humanity of its victims more fragile and the fury of Michael Myers a chilling reality. Michael Simmonds is a masterful cinematographer; from the cold, sterile nature of the sanitarium teeming with electric energy of insanity to the warmth of the holiday filled with tricks n’ treats; yet his triumph here is incorporating Carpenter’s command of the elements. One death comes to mind with a simple set up of motion sensor lights in a large backyard where the interplay of blinding light, stalking shadows and the frantic fear rising in the unknown. We know Michael is there, we know death is coming but the tension is nerve wracking. Director and screenwriter David Gordon Green also takes cues from JC but I found “Halloween” to be more reminiscent of Craven than Carpenter when it’s all said and done. While nowhere near as meta as “Scream,” there were instances that echoed the first & fourth installments of that franchise for the fortieth anniversary of this one. No fourth walls are broken but the crowd will easily feel a part of the onscreen activity – we know the rules but we also await the opportunity for lines to be crossed and expectations challenged while still getting exactly what Dr. Loomis ordered. Finally, it is likely that had Wes been with us for this one, he would have been head over heels for the sheer amount and scale of the booby traps here. Last year, “IT” really reinvigorated the genre, mining source material for new beginnings in a long-established property that didn’t suffer from the sequel fatigue “Halloween” has become nearly terminal from but also proof positive of the box office strength of horror. Michael Myers is no Pennywise; they are polar opposites yet they share the distinction of being a familiar fear, one that evokes nightmares and nostalgia. “IT” left many, including myself feeling like they had returned home to Derry, amidst their place in The Loser’s Club while “Halloween” has fans finding their way back to Haddonfield, a simpler time, a better place yet fresh enough that the excitement and desire to explore overflows. Put simply, “Halloween” was worth waiting 40 years for. 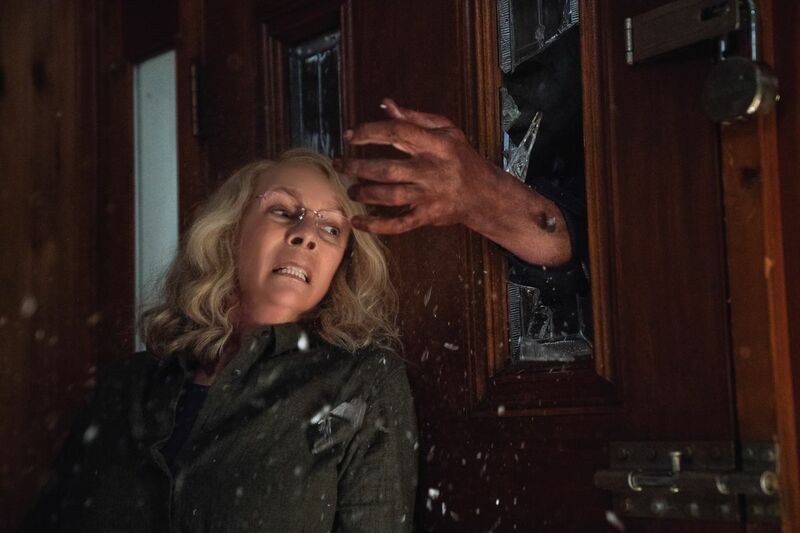 2018 has already had a bevy of high quality horror (“Hereditary,” “The Ritual,” and handful of others) but “Halloween” is a bright jack-o-lantern beacon that there everyone is entitled to at least one more good scare.